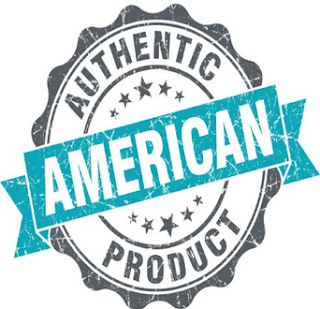 All Justified Laboratories products are made in the U.S.A. under the highest quality laboratory conditions. We also follow strict GMP (Good Manufacturing Practices), each supplement is precisely analyzed to guarantee the highest quality and purity. 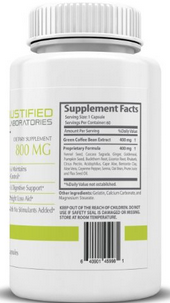 Our facilities uphold strict standards and are in compliance with all FDA rules and regulations. 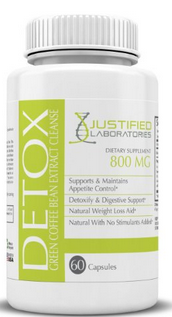 Our proprietary formula of Detox Pure Green Coffee Bean Extract Cleanse is manufactured using all natural ingredients and makes you look and feel great! This product is a purifying cleanser that removes waste matter from the digestive tract. 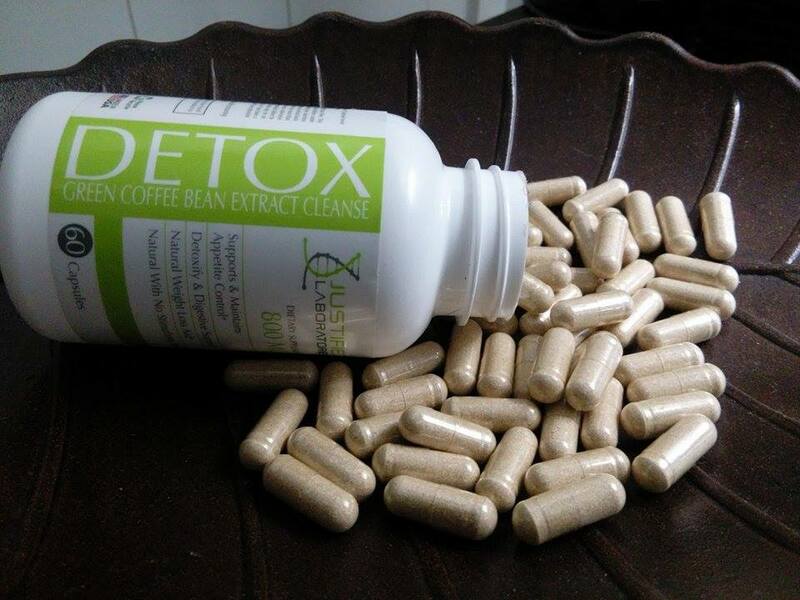 This waste can accumulate in the human body over a period of years. 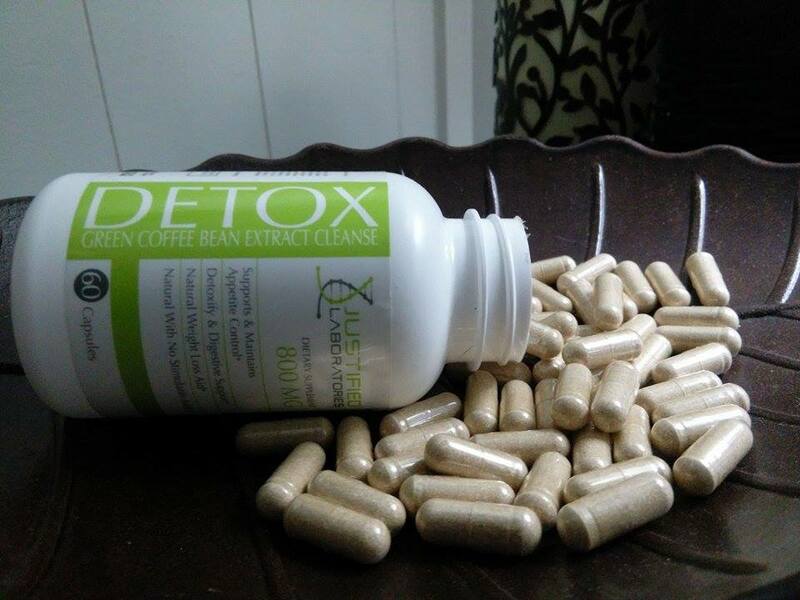 Our proprietary formula leaves you feeling healthy and fresh. 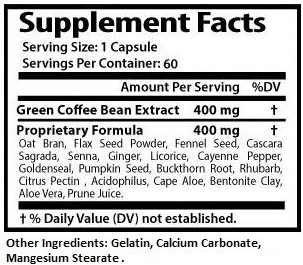 In addition to Green Coffee Bean Extract, this product contains ingredients including Fennel Seed, Cascara Sagrada, Ginger Goldenseal, Pumpkin Seed, Buckthorne Root, Licorice Root, Rhubarb, Citrus Pectin, Acidophilus, Cape Aloe, Bentonite Clay, Aloe Vera, Cayenne Pepper, Senna, Oat Bran, Prune Juice and Flax Seed Oil, ingredients that support effective cleansing and detoxification. 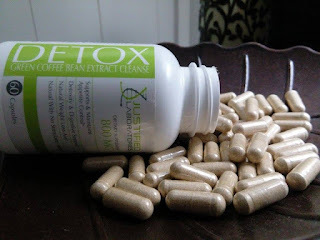 Since I am always on the look out for a good way to suppress my appetite, cleanse my digestive system and detox naturally. 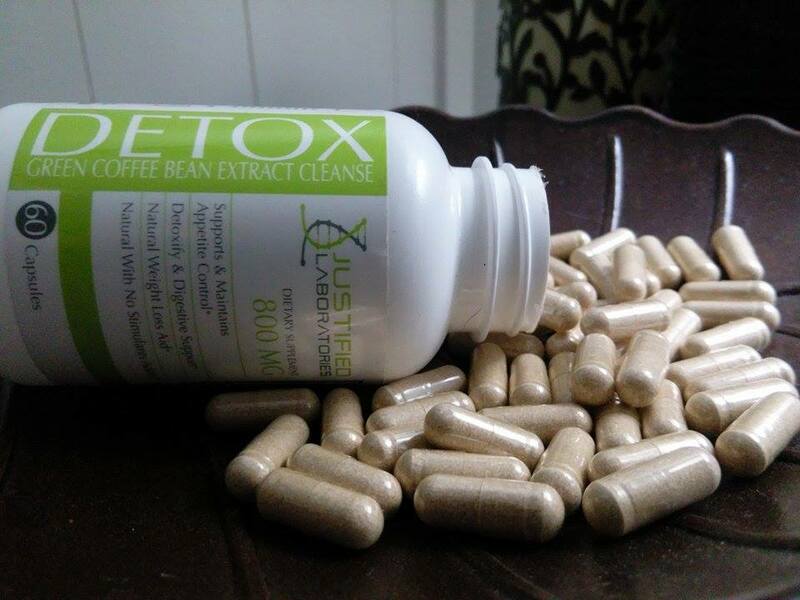 I was happy to get to try Pure Green Coffee Bean Extract Cleanse Detox from Justified Laboratories. 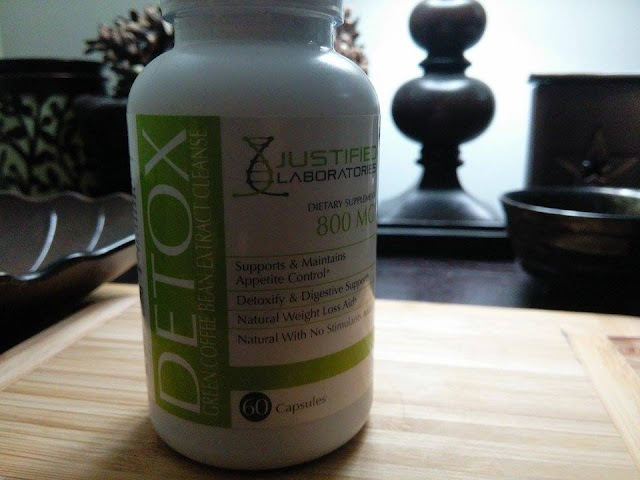 I really like that this is a natural detox and I can recognize and pronounce every ingredient on the label. 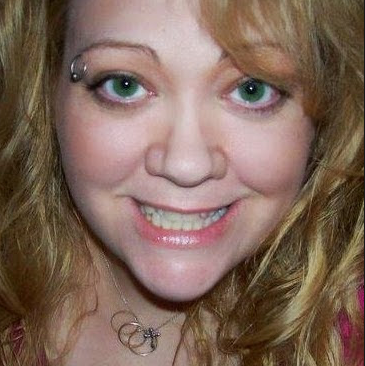 I like that this is also a natural way to lose weight. 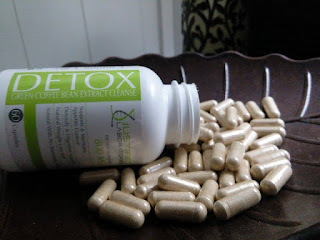 I have been taking 1 capsule per day and have felt no negative or harsh side effects like some detox cleanses I have tried before. 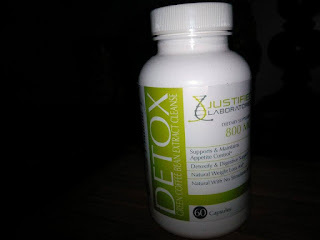 This has been a gentle yet effective detox. Afterwards, I feel great and I think you will too!